lol.. who else can judge you? 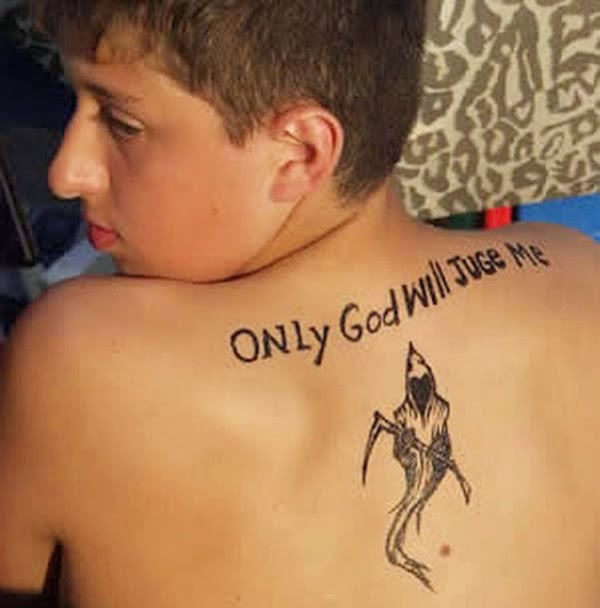 Even if “Judge” was spelt right, why is the grim reaper known as "death" also appears there? Can’t Stop Laughing.. Please one word for the guy.